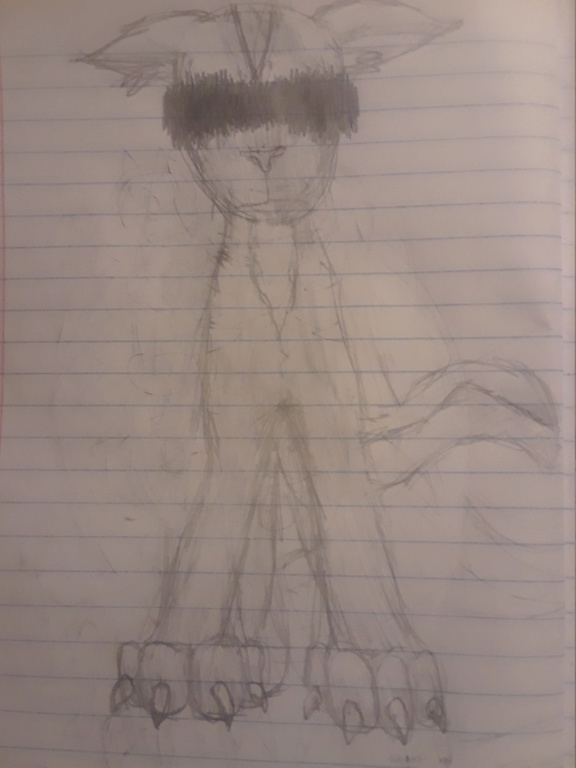 Random sketch of an unnamed cat. I mainly focused on the face and paws here. I'm happy with how the paws turned out, but I'd like tips on improving. Anatomy is what I struggle on the most when I draw, so some tips on helping with that will be really nice. Also, I'm bored, so some ideas on what to draw will be pretty nice. Looking good! The chest doesn't seem broad enough, and I don't think you'd be able to see the hind legs from this perspective. You should try drawing from a picture of a cat, that's how I practice my animal art, by looking at pictures of cats with interesting markings and cool looking poses and trying to draw that!